Missy is another very sweet little girl who found herself in a shelter where she was out of time. Her health was not well and no one was looking for her. We are so blessed to have rescue friends who help out by pulling these dogs and keeping them until we can move them to our foster program. Sadly she was used as a breeder. We are happy to announce Missy was adopted and her new family love her to pieces! She has a wonderful life ahead of her and we thank everyone who helped Missy get her second chance!Missy is another very sweet little girl who found herself in a shelter where she was out of time. Her health was not well and no one was looking for her. We are so blessed to have rescue friends who help out by pulling these dogs and keeping them until we can move them to our foster program. Sadly she was used as a breeder. We are happy to announce Missy was adopted and her new family love her to pieces! She has a wonderful life ahead of her and we thank everyone who helped Missy get her second chance! Sunny was found by a rescue friend sitting in a high kill shelter with no hope of anyone coming to get him. He was pulled and put into a safe place where we were asked if we could help him find his forever family. With that adorable face we couldn’t resist and said yes! Sunny is a little charmer, he is very sweet, lovable and has such personality! We are so happy he has found his forever home with a family who was very excited to meet him. Thanks to everyone who helped Sunny get his second chance! 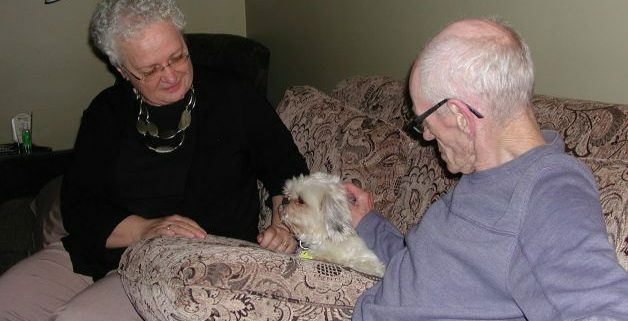 We really love seniors and we love it when an adopter opens their heart and home to welcome a senior into their lives. Lucy Lu is one special little lady who left the life of breeding to come to our rescue. She is the funniest little girl with an attitude that says, I have been there and done that and I just want to relax and enjoy life! Thanks to everyone who helped Lucy Lu get her second chance! atchi found himself heading to a high kill shelter. A kind lady stopped that from happening and reached out to find a rescue to take him. Hatchi came to our foster program a few weeks ago and has come so far from being the cautious little guy he was when he first came here. He is a quick learner! Hatchi met his new family and little four legged siblings and the rest is history! He has found his favourite spot in the bed, on the pillow, at the top of his new mom’s head! We are thrilled for Hatchi and wish him many years of happiness and love. Thanks to everyone who helped him get his second chance! Charlie Bear is the most gentle little soul. He has gone through some tough times and we hope this is the last stop on his journey where he will be forever loved and kept safe. Charlie Bear has a little sister who was extremely excited to meet him and couldn’t wait to show off her fancy moves in the yard. He wasn’t really paying too much attention, there was too much to investigate. We know they will be best buddies soon enough! Thanks to everybody who helped Charlie Bear get his Happy Ending! Daisy Mae is one sweet little cuddle bug! Her past kept her a prisoner to make puppies, her little body was in such horrible condition. Her foster families have helped her so much to get her feeling healthy and happy! 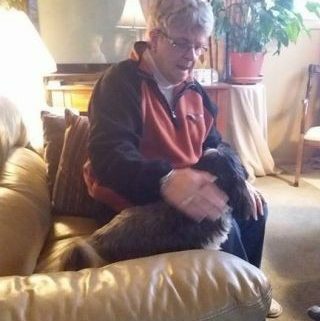 She met her new family and it is very heartwarming to watch a new adoptive dad on the floor hugging and kissing their new family member. It was a love connection, no doubt about it! Daisy Mae has a big brother who was also very anxious and excited to meet her. This little princess has a wonderful life ahead of her now and those breeding days are behind her. 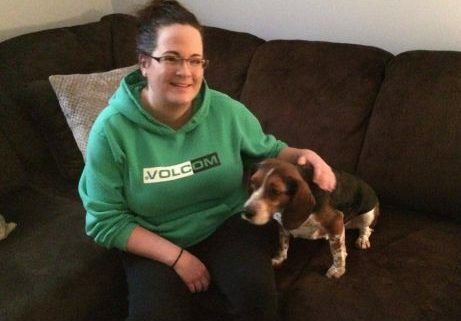 Thanks to everyone who helped Daisy get her second chance! Pretty little Sabrena sadly found herself looking for a new home. She was very much loved her entire life. We know it’s a huge adjustment for these dogs but we also know when there is a love connection it makes the transition a whole lot better for the dogs! She is a happy little girl and her new family were anxiously waiting to meet her. Sabrena will have the live of a princess now, getting anything her little heart desires. Good girl Sabrena! Thanks to everyone who helped Sabrena get her second chance! These adorable little boys have been waiting for a long time for the perfect family to discover them. Today was their day. They have come such a long way from being surrendered to a high kill shelter, testing positive for heartworm and being homeless. What a horrible start for these two young boys. Tracker is a social butterfly who loves to be touched and loved. Smokey is cautious and unsure. Our foster families do amazing work with our dogs who need that extra special love and care to help the dogs feel at ease and learn to trust again. Smokey and Tracker could not have chosen a better home, they will have their new mom and dad on the floor on a daily basis giving them tons of love and treats. 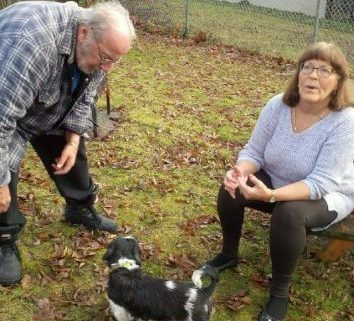 Thanks to everyone who helped Smokey and Tracker get their Happy Ending! Sweet little Blaze recently came into our foster program. He found himself looking for a new home and settled in quickly. He is a very cuddly little guy who really seems to adore the people in his life. Blaze met his new family today. He has a beautiful home, a secure backyard to keep him safe and there are lots of walks in his future and not a care in the world! Thanks to everyone who helped Blaze get his Happy Ending! Gracie found herself out of time in a high kill shelter. Rescue friends contacted us about this little cutie and we could not resist that face! She is so gentle and loving, we were excited to help her find her forever home. Gracie met her new family and her feet barely touched the floor, they were so excited to make her adoption official. Gracie has a lifetime of love ahead of her and will also get to visit her foster buddies often! 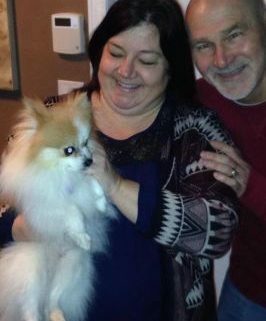 Thanks to everyone who helped Gracie find her Happy Ending!